A nd yet it was immortality that Monet sought in his later years, a period of unmatched productivity attesting to an obsessive drive to cement his place in the canon of art history. 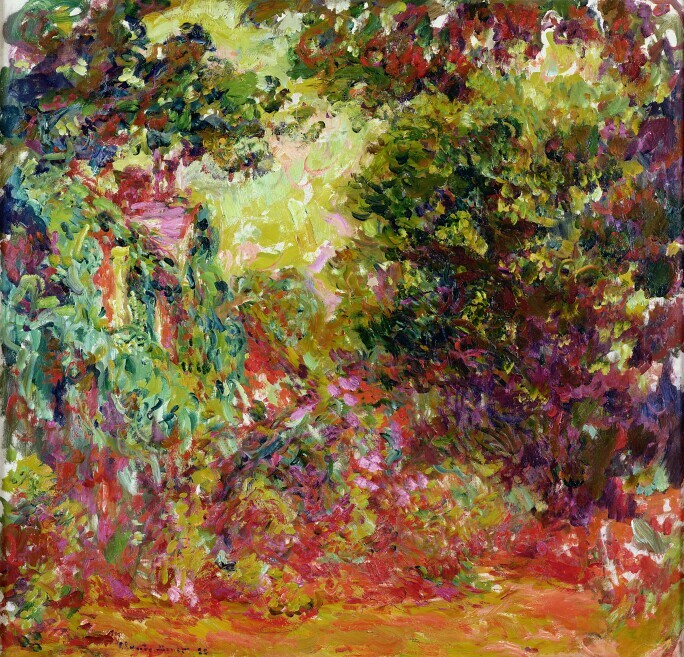 His monumental legacy of invention and reinvention is explored in Monet: The Late Years – the first exhibition in over 20 years to assess the final chapter in the artist’s storied career—on view at the de Young Museum in San Francisco from February 16 to May 27, 2019 and at the Kimbell Art Museum in Fort Worth from June 16 through September 15, 2019. In 1883, Monet settled in the small French village of Giverny and embarked upon a grand project to design the gardens where would paint for the rest of his life. This outdoor studio allowed him an unfettered opportunity to advance his studies of light, color, reflection and atmosphere. The period of relative tranquility that followed, however, was not to last. In 1911, Monet suffered the devastating loss of his wife; in early 1914, his eldest son died. Around this time, he was also diagnosed with cataracts in both eyes, which severely impacted his perception of color. In 1914, after a nearly two year hiatus from painting, Monet rededicated himself to his work. In the years that followed, his paintings evolved increasingly toward abstraction, marked by their large scale, bold brushwork and vibrant colors. In examining this radical stylistic reinvention, The Late Years highlights Monet’s status as not only the master of Impressionism, but an enduring and original figure in 20th-century modern art. 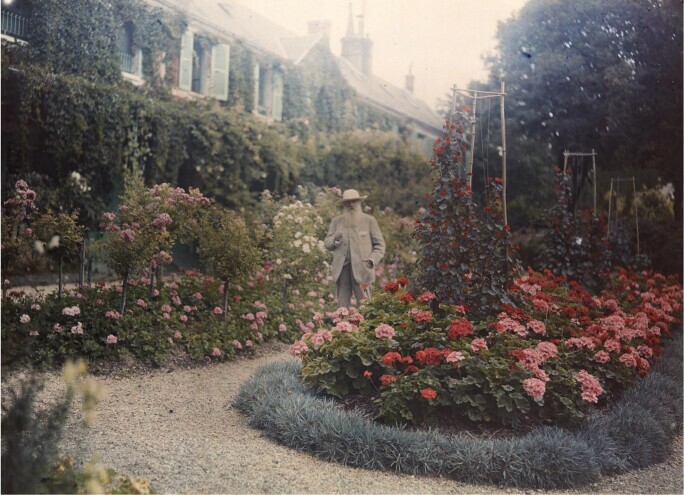 Anonymous, Monet in His Garden at Giverny, 1921. Autochrome. Collection of the Troob Family Foundation. Image courtesy of the Fine Arts Museums of San Francisco. The exhibition opens with a prologue including works from the late 1890s and 1900s that introduce Monet’s outdoor studio at Giverny and emphasize the profound shift in style that was to come. What follows is an exploration of Monet’s large water lily paintings, whose impressive scale and gestural brushwork prefigure the Abstract Expressionist movement; his monumental mural paintings; and his late garden series of easel paintings worked and reworked with feverish brushstrokes. Throughout, the viewer is compelled to reckon with Monet as a vital energizing force in the evolution of 20th-century painting. Claude Monet, The Artist’s House Seen from the Rose Garden, 1922-1924. 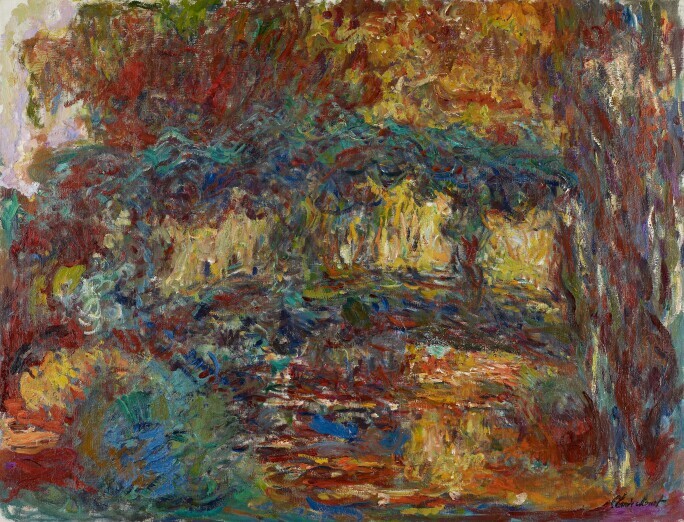 Musée Marmottan Monet. Image courtesy of the Fine Arts Museums of San Francisco. Approximately 60 paintings are on view, some for the first time in the United States. Assembled from major public and private collections including the holdings of the Fine Arts Museums of San Francisco and the Kimbell Art Museum, the exhibition also includes 20 works on loan from the Musée Marmottan Monet in Paris. The exhibition will be traveling to the Kimbell Art Museum in Fort Worth from June 16 through September 15, 2019.